On June 21, 2015, 13 fellow Deerwalkers came together to carry out a survey for earthquake relief fund raising in the rural areas of Dhading led by the Chairperson of DeerwalkRudra Pandey. 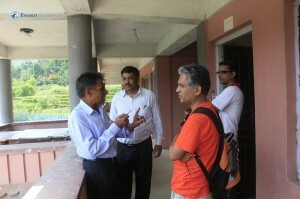 The group included representatives of the entire Deerwalk community, the chairperson Sir Rudra Pandey; the Campus Chief, Sir Surendra Adhikari; 6 employees from the Deerwalk Services, Kanchan Raj Pandey, TulsiRamtel, SudhanTimsina, Sameep Man Shrestha, Neeraj and Lava Kafle; and 4 students from DWIT, Abhisekh Khatiwada, Prayush Shrestha, Dipesh Bhandari and me, Bishal Timalsina. 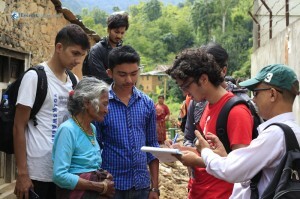 The main objective was to collect the data about the aftermath of the earthquake of 25th April, 2015 that devastated the rural areas of Nepal. We were to ask the locals about the damage done by the earthquake and fill out a questionnaire. 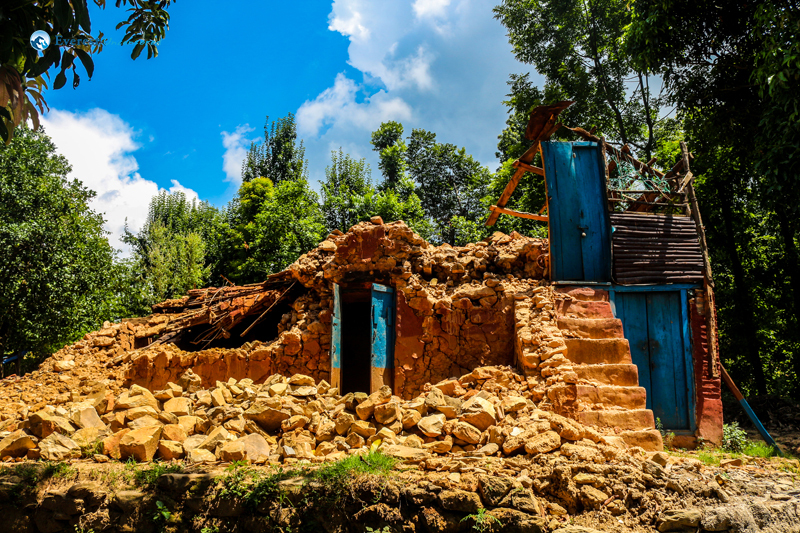 The questionnaire included questions regarding the family count and the severity of the damage, with an assumption of the price that might be required to rebuild the damaged houses. 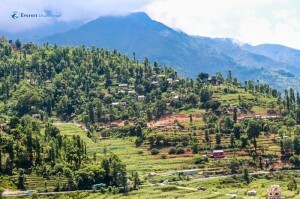 This information would be placed on the internet to attract donors for the houses’ reconstruction. The school children were being taught in another building which was a little safer but not entirely safe. The four students of DWIT and 3 of the employee of Deerwalk gathered in the Deerwalk Complex by 7:00 AM to take a van which would take us to our destination. We picked up Surendra sir, at Kamal Pokhari and Rudra sir from Annapurna Hotel. The rest of the Deerwalk employees joined us near Thankot, where we began our journey away from the pollution and dust of the city, towards the rural area where life is simple and environment is clean. We had to travel about an hour in the van, then got off to have a light breakfast and started until we reached Lyaklungfhedi, from where our journey on foot began. 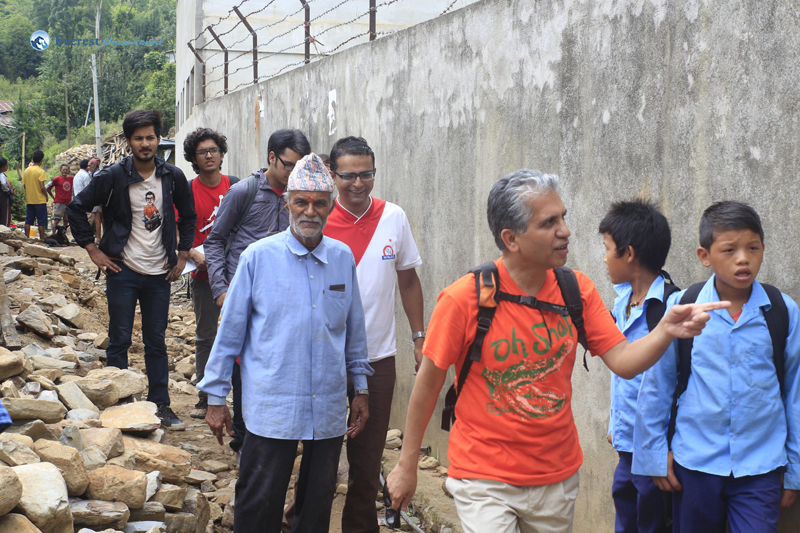 We walked for about 15 minutes and reached a small settlement of 6 houses and a school, “Shree Dilli Shabitri Madhyamik Bidhyala” among which two of the houses were completely damaged and the remaining were partially damaged. The peoples were afraid to go up their houses, they spend the night sleeping on the ground. We interviewed the two families living there. 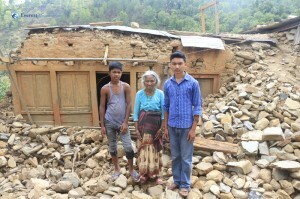 Their house was destroyed and they were in a dilemma when it came to building a new house as they did not have enough money and were afraid that it would be brought down again by another quake. 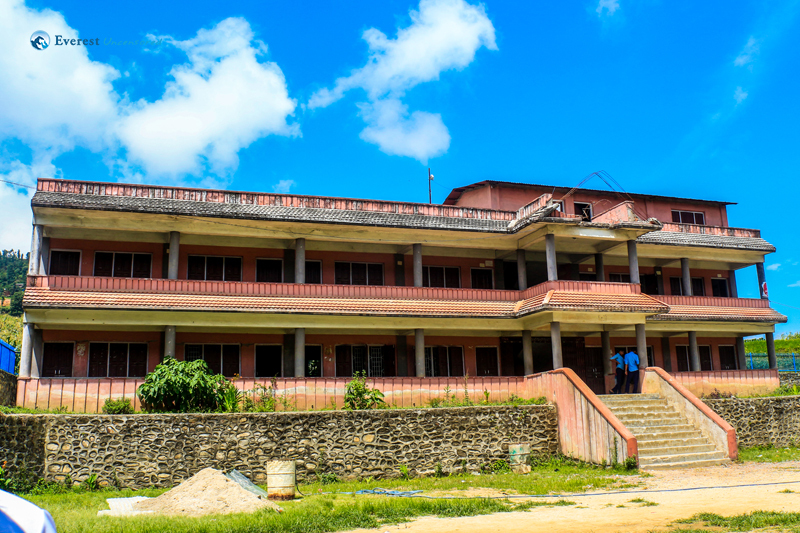 The school was also damaged a lot with a lot of cracks on the walls, due to which an entire building was evacuated. The school children were being taught in another building which was a little safer but not entirely safe. The group got involved with the teachers discussing about the academic results of the students, by which we got to find out that most of the students were weak in science and could use some coaching. Rudra sir, and Surendra sir decided that it would be helpful if we could manage a teacher to teach the students there. The idea was well appreciated. After the visit to the school we went to another settlement which was about 5 minutes of walk from the previous area. The place was inhabited by Khadgi caste peoples and was also very much damaged like the one before, we began talking with the local peoples about the damage and they informed that though no people were hurt during the quake all the houses were damaged and they were staying in temporary tin houses. The people there were very generous and provided us with lychees. We got information about 3 families there and they were having trouble starting to build their house. 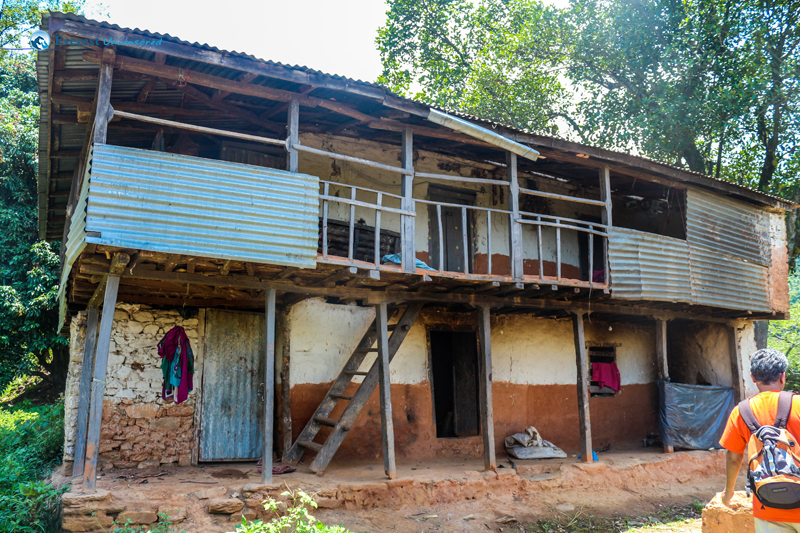 Then we moved on to the other area where peoples of Lohani caste were living. The peoples were happy about our visit and provided us with fresh curd. The situation was same there too, the houses were all damaged. There was a house where there were small grain saplings growing due the spilled grains. Then we moved on to the next area where the Pandey caste peoples lived. 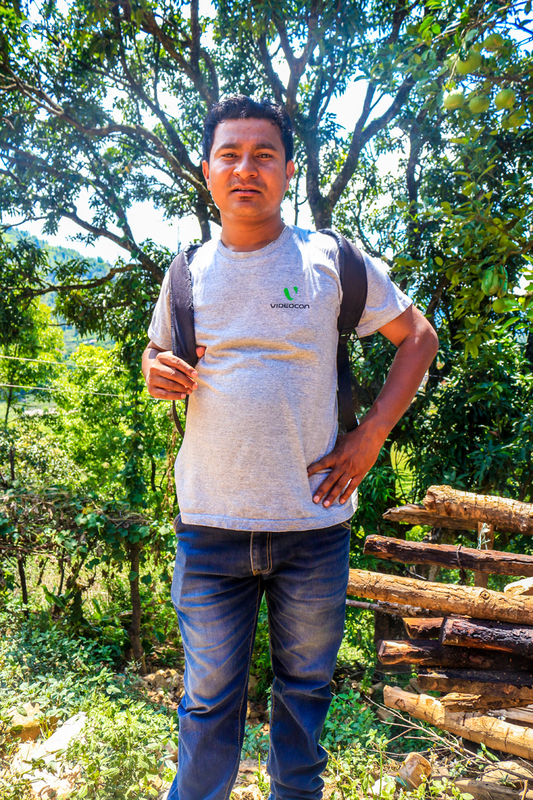 One of the family member Balram Pandey shared the story how a grandmother was saved by a boy who pulled her out of the house to a safer place. There was also an old lady who damaged her spine during the quake. Then we reached the place where our van was waiting for us. 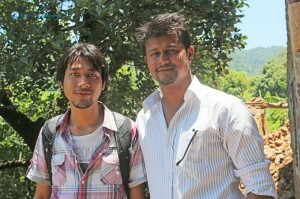 Then we went to a hotel where we had our lunch at 2 o’clock and returned back to Kathmandu. The entire survey was a great experience for us and was as a great opportunity to learn about the current situation of the rural Nepal. 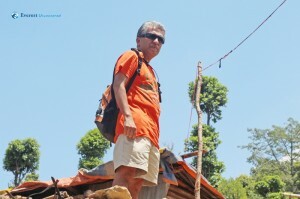 The villagers, despite of being in such a tough condition, they were very much helpful and co-operative. 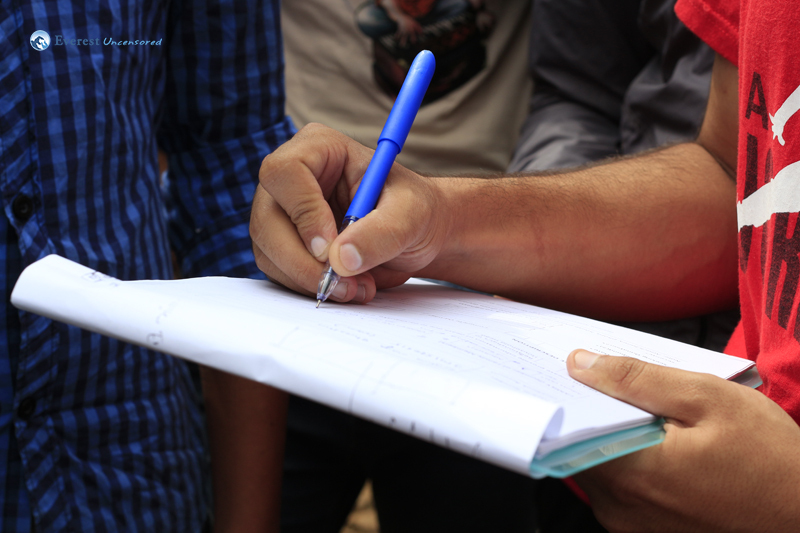 From the survey we came to know about the state of rural area and provided us with sectors to help the peoples. Most of the people were in dilemma thinking about which type of house to build. Hope the information collected will help the ones who are in need. I woke up early as usual and asked my friend to drop me off at Teku, where I was supposed to catch the Deerwalk vehicle. 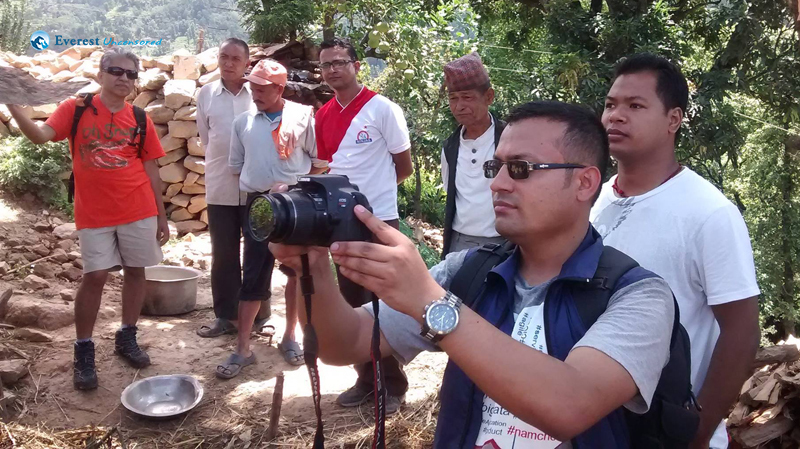 Our group was bound to Lyaklung Phedi, a remote village in Dhading, a district adjoining Kathmandu. 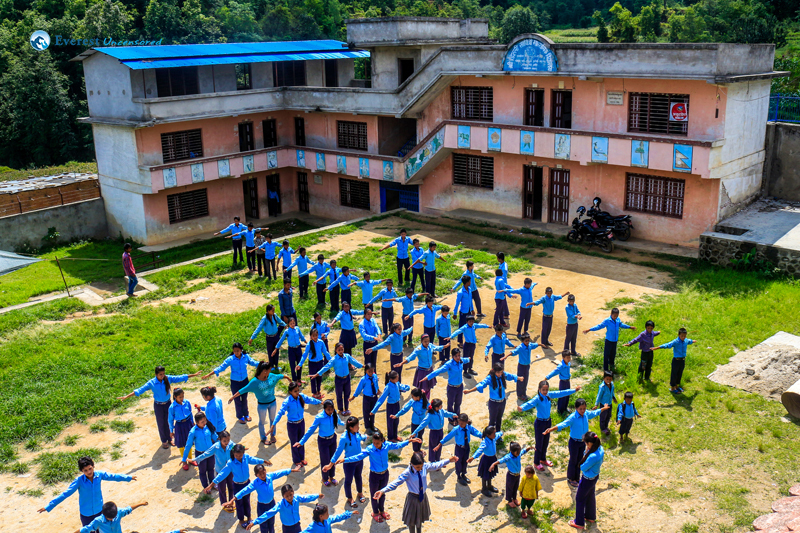 Our mission was to conduct a field study of the damages brought to the village by the 7.8 magnitude earthquake which struck Nepal on April 25. 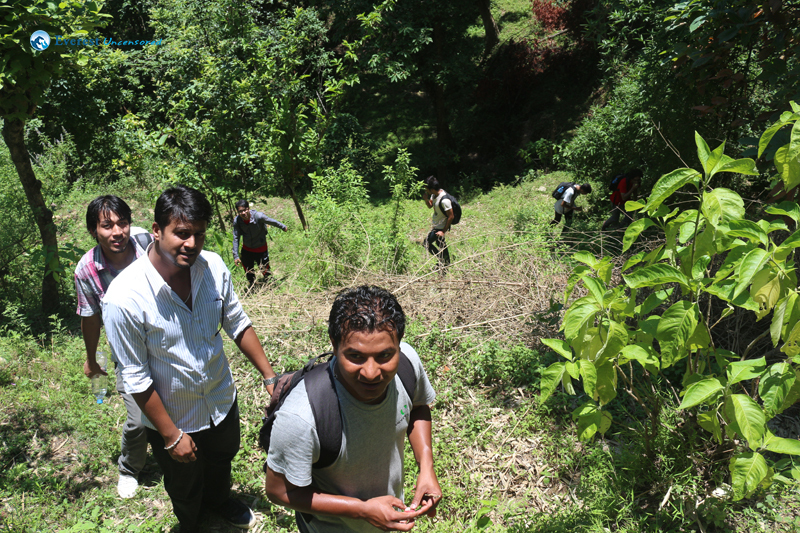 We were also going to meet students in Dhading who are being supported by Deerwalk scholarship. But these were not the only objectives of our visit. 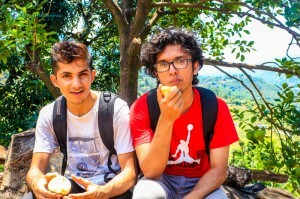 We also wanted to enjoy hiking in the outskirts of Kathmandu. It was 7:00 Am when we started off from Teku. It was drizzling, which brought a cool atmosphere to what would otherwise have been a hot June morning. 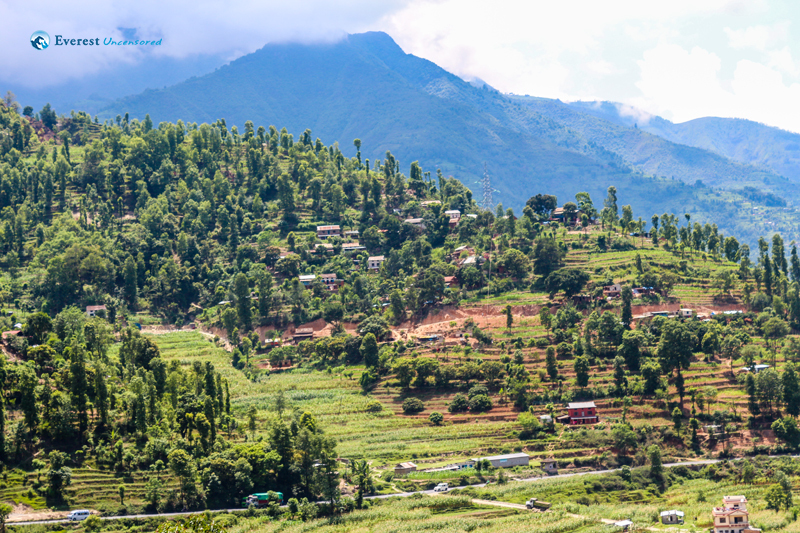 After about an hour ride along the meandering highway and passing through lush green fields and hills outside the Kathmandu valley, we reached Naubise. We commenced our walk uphill after eating a fulfilling breakfast in Naubise. We walked up in a straight path. 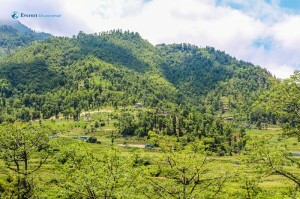 Surrounding us were landscapes of green fields of corn and rice. After half an hour walk, we reached Dilli-Sabitri School. There we met three students who have been awarded with Deerwalk scholarship. 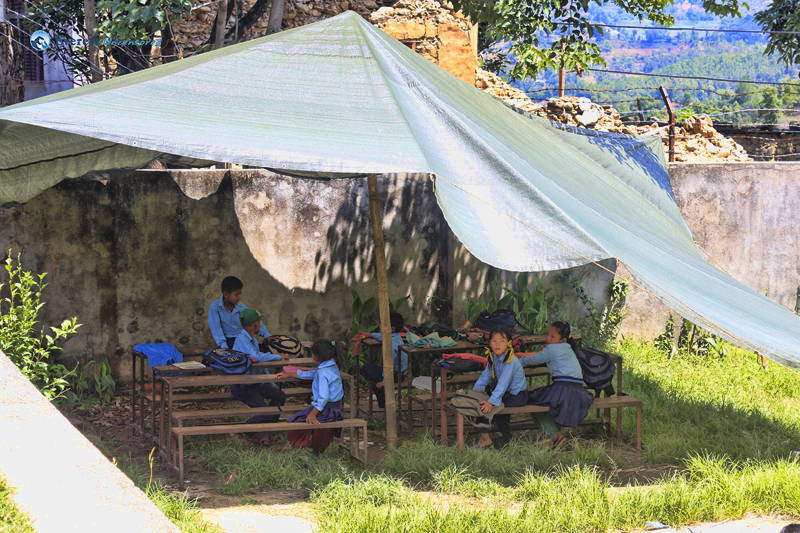 For about an hour, we talked with them – about their studies, their village, their aspirations and how their village and their lives were affected by the earthquake. Unfortunately, we could not meet all the students who were awarded with Deerwalk scholarships because not all were present that day. 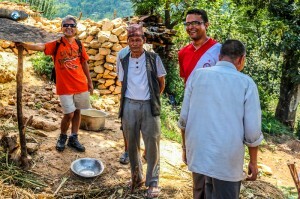 In spite of the hardships, the villagers were kind and were welcoming us. They greeted us warmly. After that, began a tough four hour walk uphill. 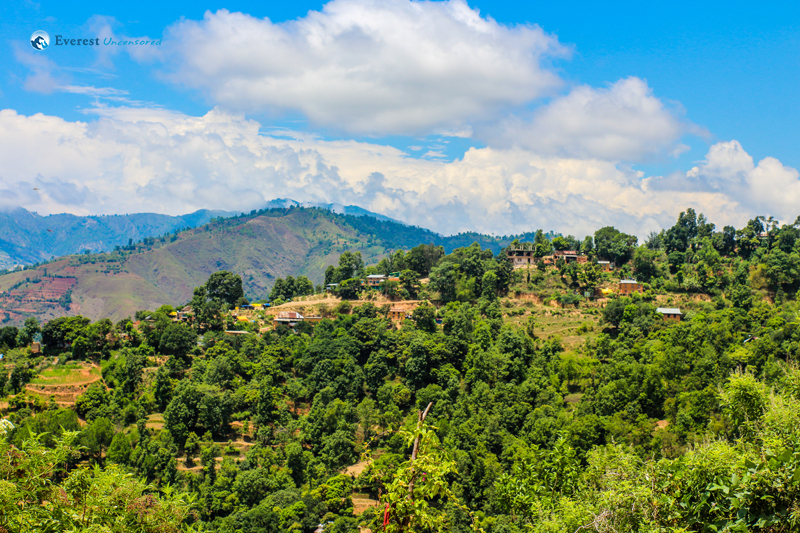 Walking on the steep hill was harder for me because I was not wearing a comfortable outfit – I had put on my rough jeans that constantly made me sweat. We did not walk continuously; we paused in between to drop into a house and talk to the people. Or, we talked to any villager we stumbled on our path. 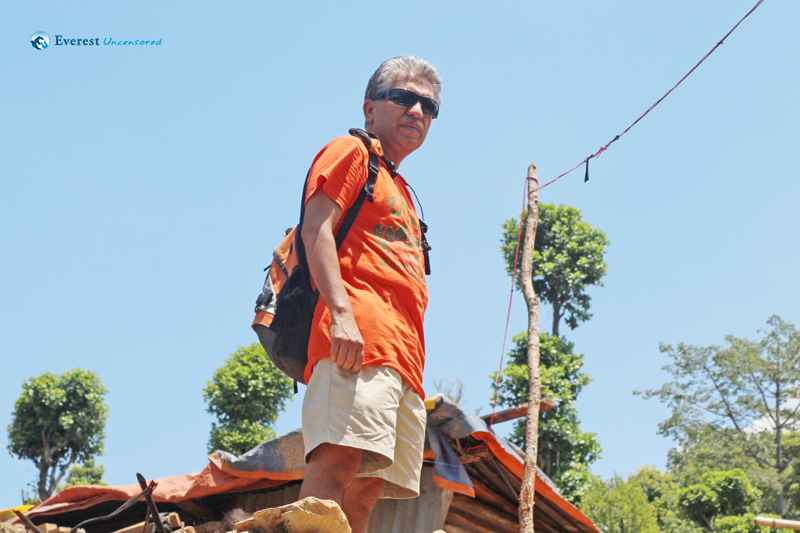 We met a villager on the path whose house was completely destroyed by the quake. 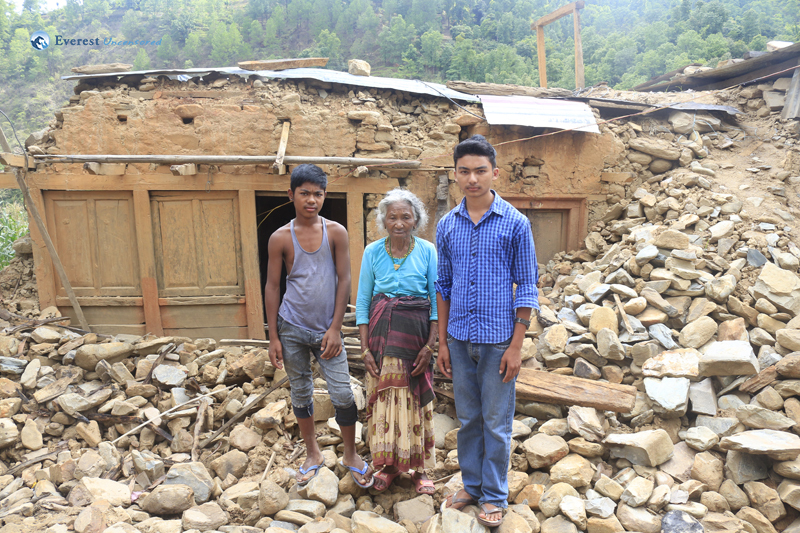 The man seemed sad while he recounted to us how his house was turned into ruins. He told us he needed assistance to help rebuild his house. However, he seemed hopeful of the future. 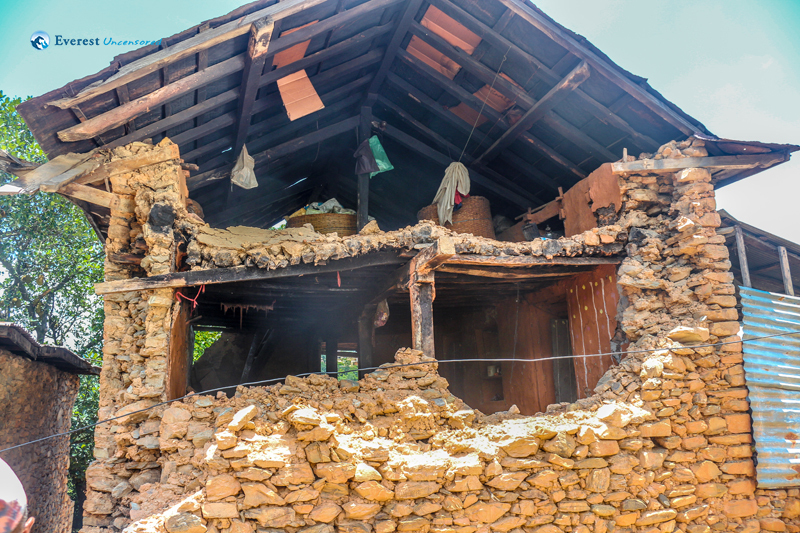 What we found from our conversations with the villagers and from what we saw is that the earthquake caused much damage to that place. We saw houses that had completely collapsed and buildings were cracked. 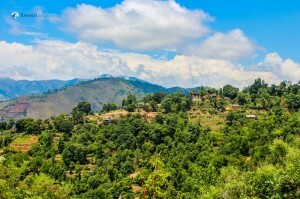 Most villagers were living in the makeshift places. The villagers certainly needed help. However, in spite of the hardships, the villagers were kind and were welcoming us. They greeted us warmly. 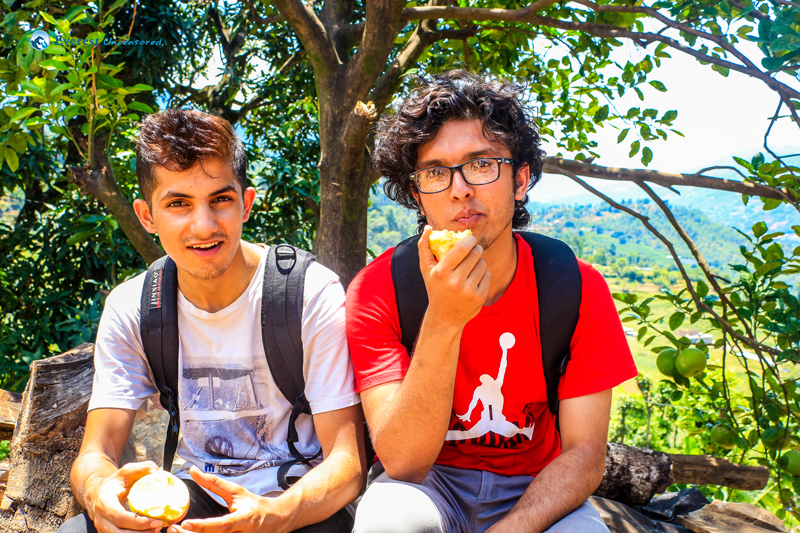 They offered us lychee from their trees. Some even offered us food. And the “Mohi” was too good for that weather. 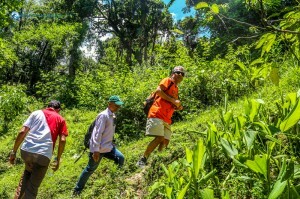 Seeing the hope and the resilience the villagers had kept alive in times of adversity certainly added joy to our hike. It was hot as we walked around the village. However, we easily forgot the heat. We saw mountains behind the green hills. The sounds of the birds were refreshing. 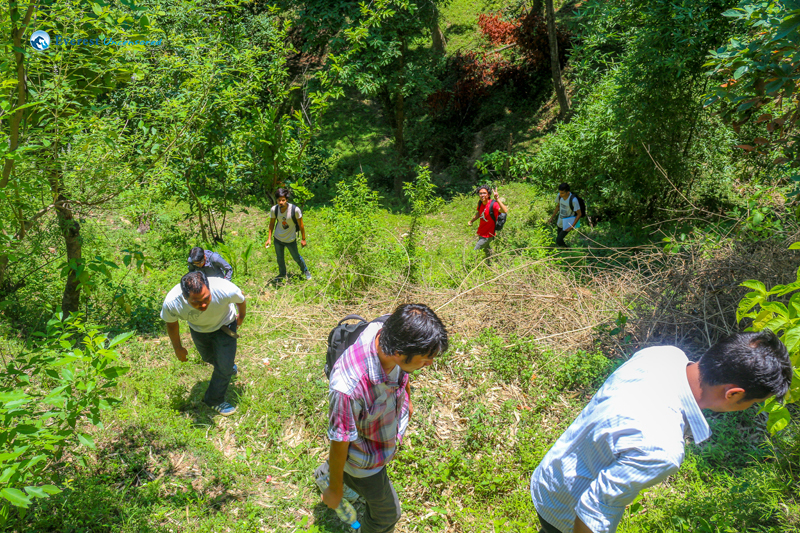 After surveying 15 houses which were severely damaged by the earthquake, we decided to go up the hill. 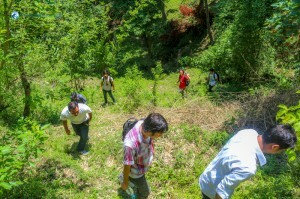 Walking up hill was certainly tougher. It was 2:00 PM in the afternoon when we arrived back to Naubise. We rested for a while there and ate our lunch. Only then did we return to Kathmandu.